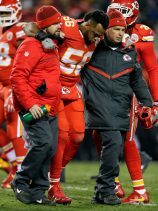 Derrick Johnson’s unfortunate recent Achilles injury just two years after having sustained the same injury to his opposite leg has once again brought the devastating blow of this injury to the forefront of the Kansas City sports scene. Although having already proven the ability to return from this historically devastating injury to an athlete’s career potential, many question his ability to make the same amazing recovery he did at an already seemingly “aged” NFL veteran experience with his first injury two year ago and wonder whether another comeback is possible. 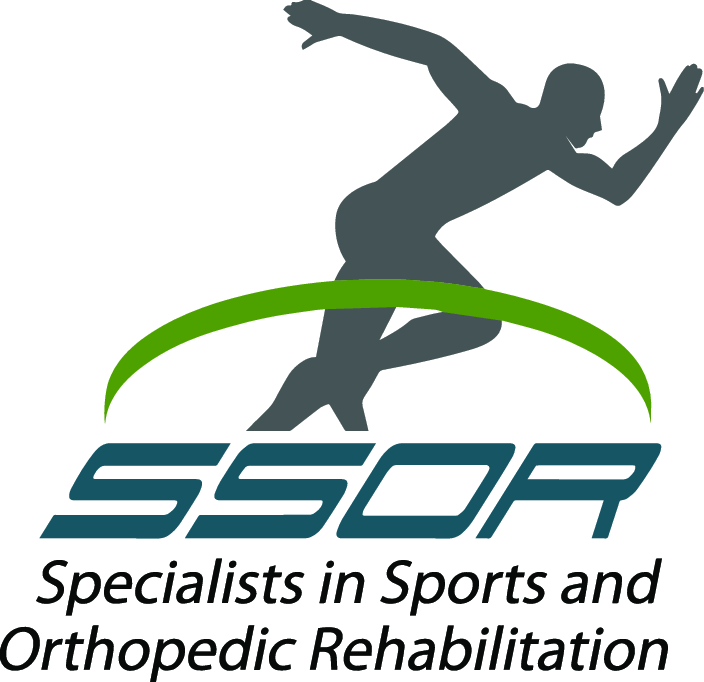 In this blog, we’ll discuss recent developments in the management of these devastating injuries in both professional and weekend warrior athletes that are providing early precedent and hope that recovery and return to play at this elite level may not be so far-fetched. 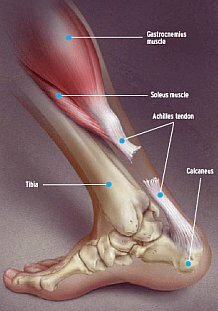 Tears of the Achilles tendon occur most often in middle-aged (30-40 year old) males with a reported rate in the medical literature of 18.2 to 37.3 per 100,000. While basketball is the most common sporting activity reported by injured patients, football players have certainly not been immune to this devastating injury. In their internet query review, Parekh et al identified 31 NFL athletes with Achilles rupture injury from 1997 to 2002, and noted only 64% of these athletes being able to return to play and with a 50% drop in performance compared to their pre-injury condition. Although some recent studies have promoted the use of non-operative treatment for Achilles rupture, due to the risk of re-rupture traditionally operative treatment of these injuries has been the standard treatment for active, healthy individuals. Despite this, both within the amateur weekend-warrior and professional athlete patient population case reports of disastrous wound complications certainly have placed a cloud of doubt over the operative management of this injury and frequently led to prolonged durations of immobilization and wound protection to avoid this devastating result. In response to this, development of minimally invasive/mini-open techniques has been entertained as a means of surgically restoring the muscle-tendon unit while minimizing disruption of the soft tissue envelope of the healing Achilles tendon (i.e., paratenon). Having gone through various forms over the years, the most recent development of the Percutaneous Achilles Repair System (PARS – Arthrex ®) has shown the most promise. 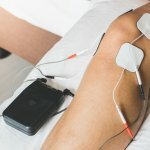 In the first study published with this technique, nine NFL athletes with Achilles rupture were treated with the PARS mini-open technique. All nine athletes were able to return to football play post-operatively, one of which did so at 166 days (5.4 months) which to our knowledge remains the fastest return to football game competition recorded in the medical literature. Although only 7 of the 9 returned to NFL play, the two athletes who continued professional football in the Arena and Canadian Football League were both undrafted free agents injured in their first season with the team. Despite the historical concerns with other mini-open techniques, there were no complications of re-rupture, nerve injury or wound issues noted. Following this study, Hsu et al took a much larger amateur patient population of Achilles ruptures and compared the PARS mini-open (101 patients) to standard open repair (169 patients). Their results noted that 98% of mini-open patients had returned to baseline physical activities at 5 months compared to only 82% of the standard open. They also demonstrated no issues with nerve irritation, and less risk of wound complications compared to the standard treatment. Having implemented this technique as the mainstay of treatment for all non-insertional Achilles ruptures, this change in patient outcome has been seen not only clinically by myself, but has also changed they way that these patients are managed during their rehabilitation and physical therapy which will be detailed further in the second part of this Achilles blog. With what has been seen both in the professional and amateur athletes alike, mini-open Achilles repair represents a game-changing approach the management and outcome of these devastating injuries for patients. This is not unlike the change witnessed in the medical community when classical open treatments of shoulder and knee instability injuries traditionally managed with large open dissections and immobilized for weeks at a time transitioned to less invasive means with earlier range of motion once reliable techniques had been developed and tested. As for Derrick Johnson, Kansas City fans can take some consolation in the fact that this road less traveled has been walked before. Look no further than Terrell Suggs, linebacker for the Baltimore Ravens. Now 34 years old (and 1 month older than DJ), Terrell sustained his first Achilles injury prior to the start of the 2012 season. After returning later that season at 5.4 months following his injury and repair, he played two additional seasons prior to rupturing his opposite Achilles in the 2015 campaign. Having undergone surgical repair, he is now back in full-form for the Baltimore Ravens having started all games during the 2016 season. McCullough et al. Mini-Open Repair of Achilles Rupture in the National Football League. J Surg Orthop Adv 23(4):179-183, 2014. Parekh et al. Epidemiology and outcomes of Achilles tendon injuries in the National Football League. Foot Ankle Spec. 2(6):283-286, 2009. Hsu et al. Clinical Outcomes and Complications of Percutaneous Achilles Repair System Versus Open Technique for Acute Achilles Tendon Ruptures. FAI 36(11):1279-86, 2015.